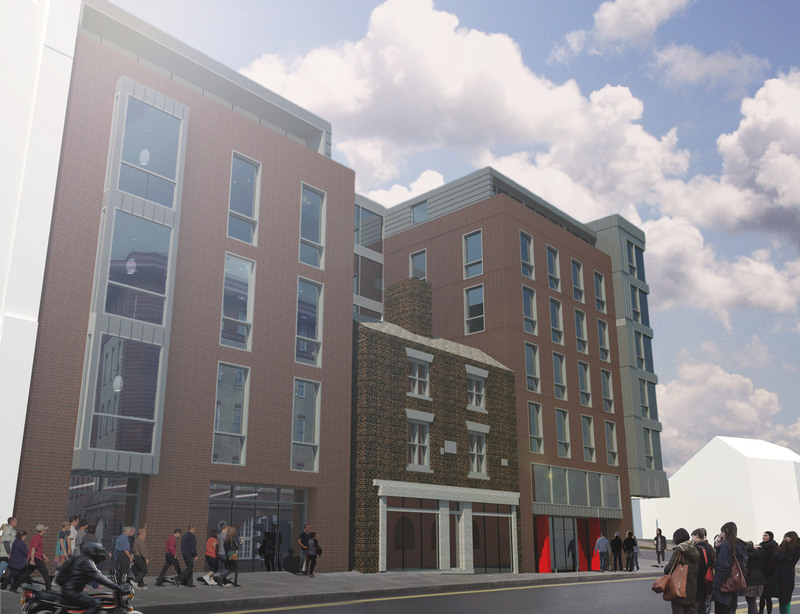 Won in a client led design competition, the brief was flexible in that the primary requirement was to provide a residential development with ancillary retail/leisure units on the ground floor with parking. 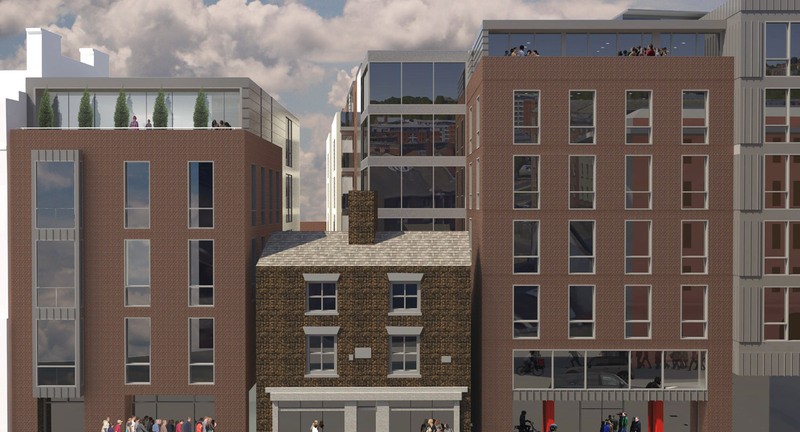 We propose to retain the façades of no.’s 117 – 119 West Bar buildings which are listed. 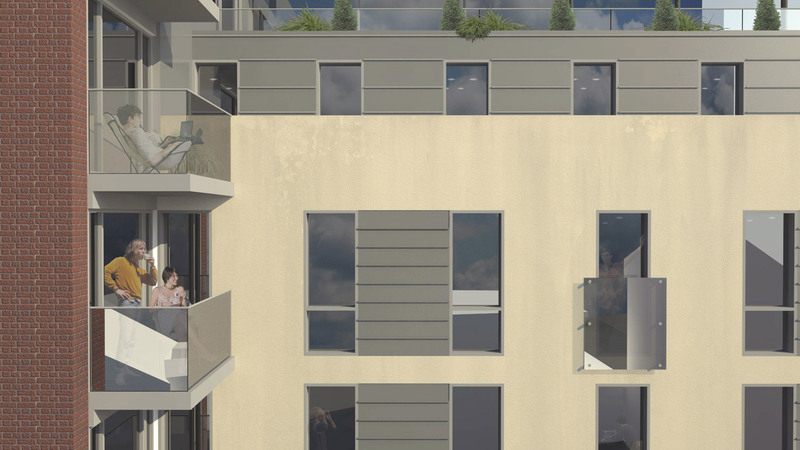 The slope of the site creates the opportunity for basement car parking with a landscaped courtyard above for the residents so that no surface car parking is visible. 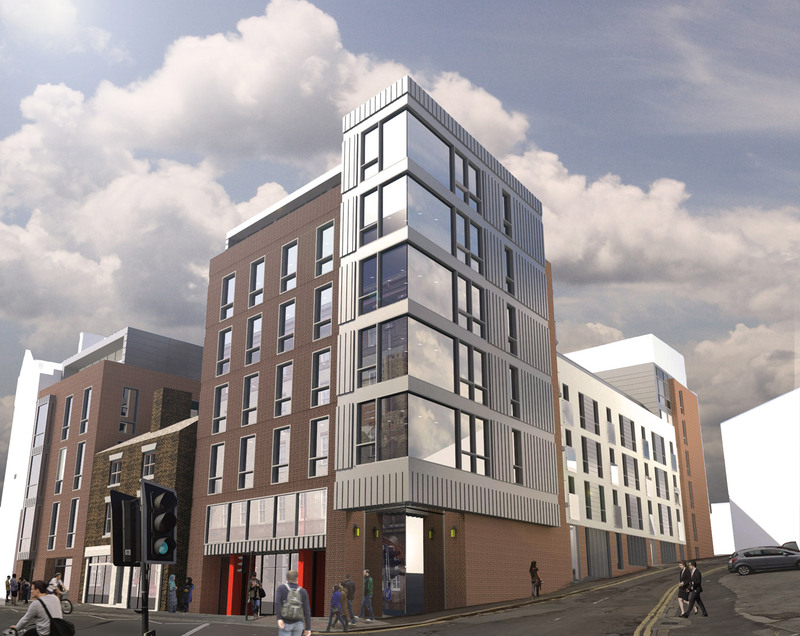 The building will be clad with zinc and copper cladding along with a red brick chosen to match the colour, bond and texture of the surrounding buildings.